- Startup animation and sound after flash and also customizable. - Completely new and bugless belle navigation bar. - Extra Sensor settings - Tapping controls Added. - Java Permissions completely Removed. - Widgets Security is now Disabled. - Ovi Contacts Completely removed and Disabled. - Tap to Unlock with working Notifications. - Press and Hold '0' to Switch ON Bluetooth. 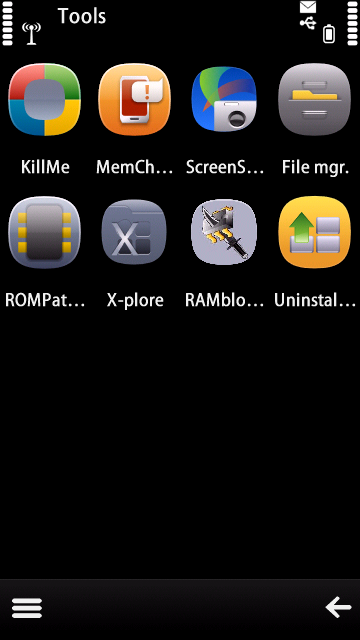 - No scrollbar in menu. - S^3 automatic transparent effect for widgets. 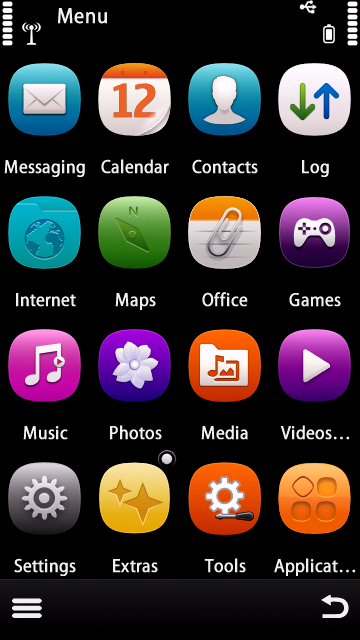 - Symbian belle theme effects [With original symbian belle loader and new rotation effect]. - Belle Symbols on HS. 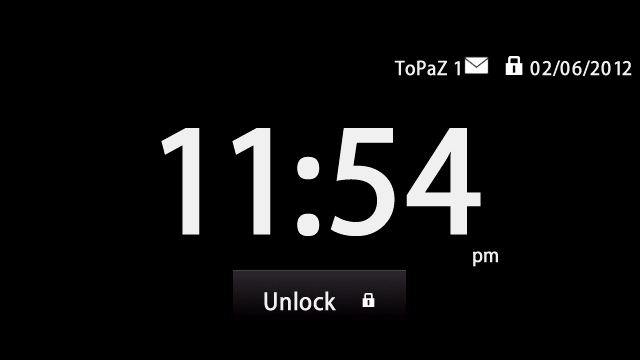 - Lock icon added to Tap to Unlock. - Fading effect is back during pop-up. - Picture quality set to 100%. - Web cache highly increased. - Default font size set to large. - More pages of characters in the Symbols page. Press star in messaging to see. - Removed Messaging lag completely! 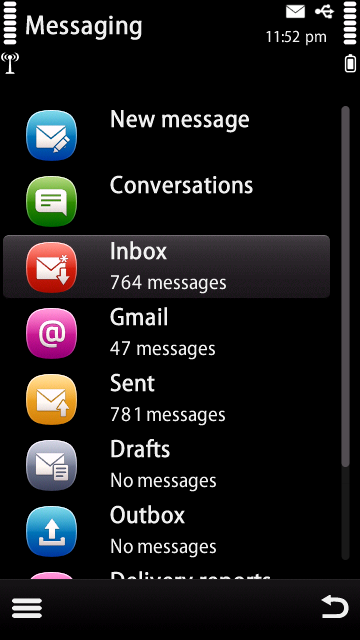 - New mailbox icon in messeging. - Clock is now 12 Hour format. - Date is DD-MM-YYYY format. - Mini Qwerty Completely removed with no red key bug and light sensor preserved. 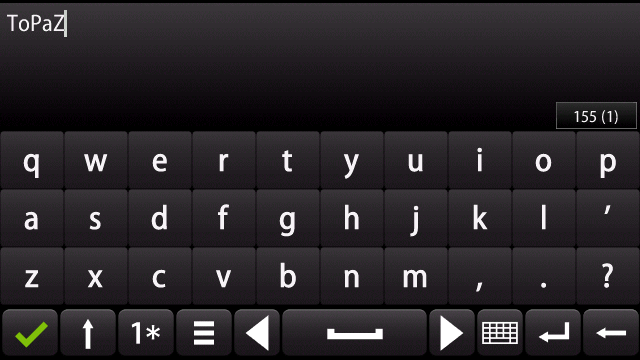 - Alphanumeric Keyboard Layout Changed. - Autorotate to qwerty in landscape. - All bugs related to keypad locking removed. - Breathing light off by default. - Auto-Keyguard adjustment option added to Settings. - Tap to unlock supports autorotate. - Default light timeout set to 30 seconds. - Nokia 808 Pureview Codecs used. 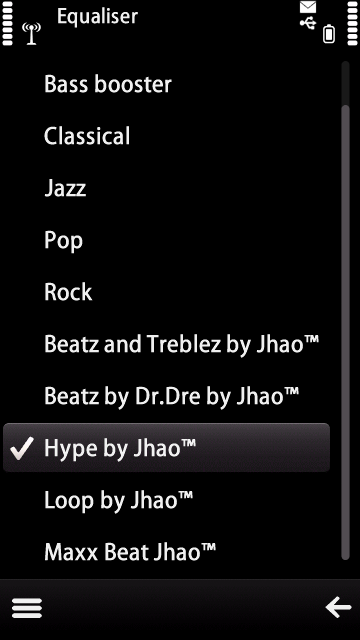 - Ability to rename any application within the menu by going to options organize and renaming it. - Boot folder would be hidden from gallery. - ToPaZ folder also hidden from gallery. - Send protected items via default file manager. - Necessary process will be automatically moved to kill me protected list after flash. 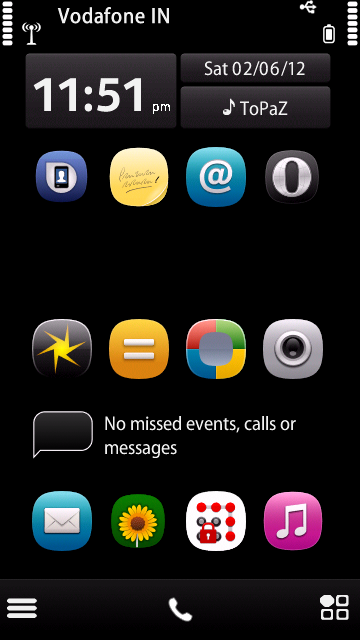 - Custom menu & homescreen arrangement. - Removed centred text in potriat mode. -Make sure that you use the provided Core , Rofs2 and Uda only. - Do not mix them with the original one or you may brick your phone. - Also do not use any extra original files for flashing like Rofs3. Just use what is provided and nothing else. - Do not make changes to starter non critical.rsc, if you want to make then make sure MiniCMD.exe is always enabled. - Keep your memory card intact while flashing. - After you flash your phone with all the provided files, your phone will be automatically hard resetted after flash, so no need to hard reset again. - After the phone starts up just punch in your details and when you reach homescreen just wait for 1 minute or more before touching as it will perform some necessary process in the background. 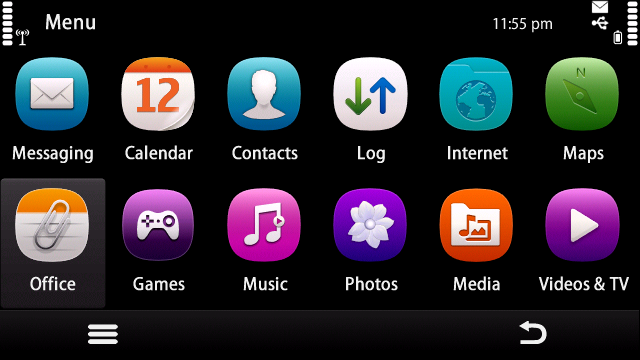 Belle Navigation Bar Version - "CLICK HERE "
Non Belle Version - "CLICK HERE "
Belle Navigation Bar Version-"CLICK HERE"
how to install this firmware and how to flash..
i have downloaded Navifirm but it gives error..